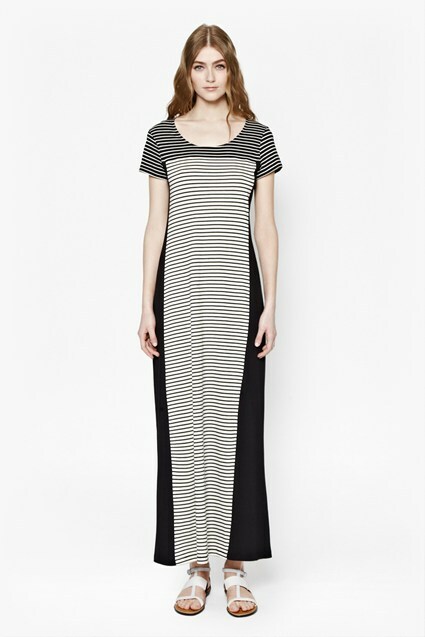 A monochrome palette allows the striking, graphic print of the Ink Wash Halter Neck Maxi Dress to steal the show. 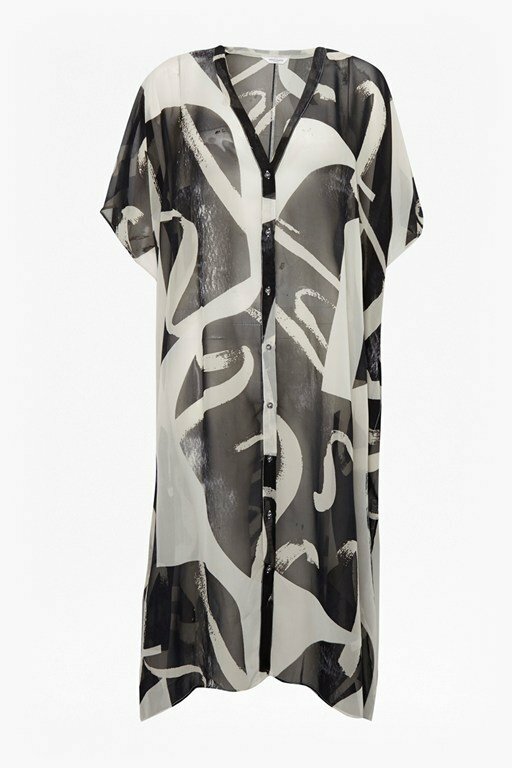 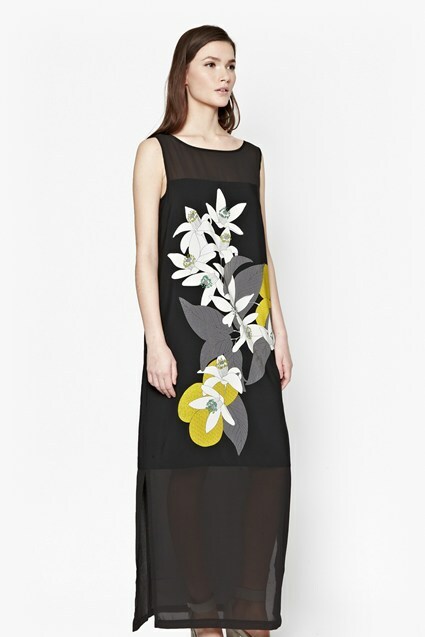 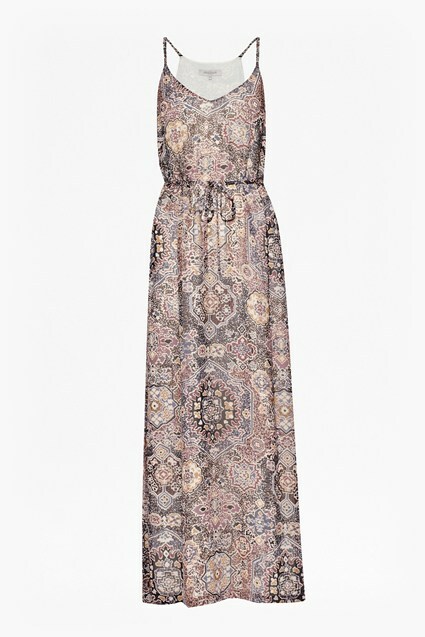 A sweeping maxi dress with a 1970s-inspired halter neck is finished with an ink wash-effect print, using brush strokes to create a unique pattern. 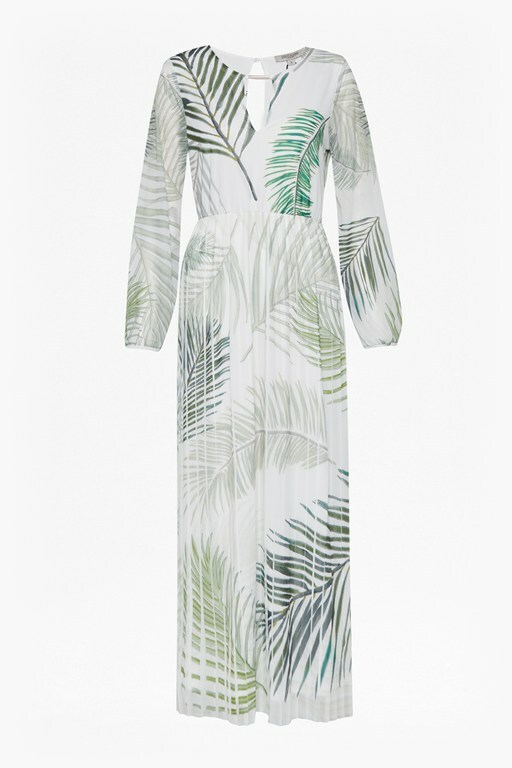 The loose-fitting dress is lightly cinched at the waist, creating an easy party piece. 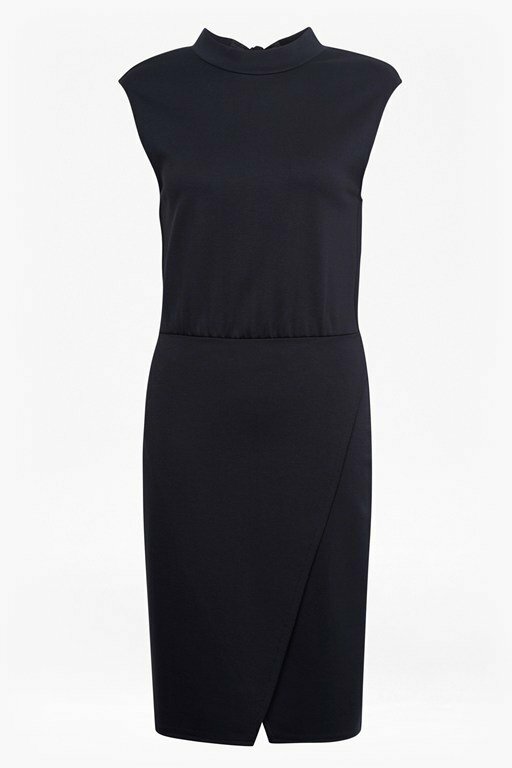 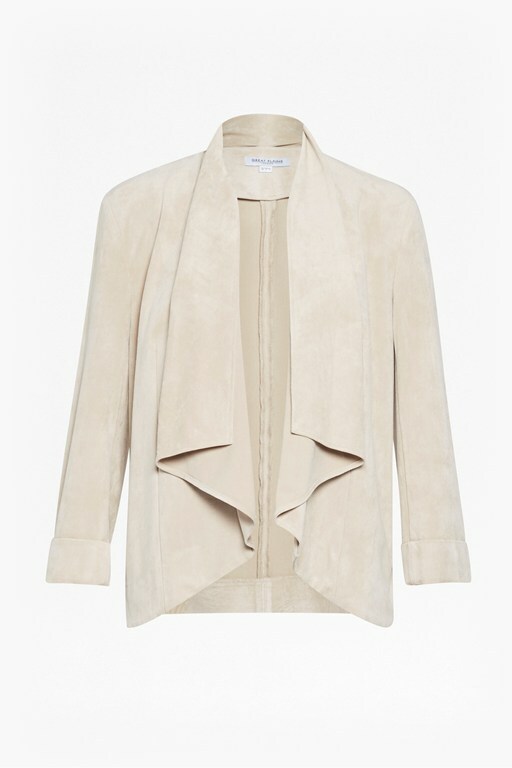 Wear with strappy heels for a retro-inspired evening look.